The Automated Technology Group recognises that excellent customer service beyond system handover is essential. Across diverse industries – from automotive manufacturing and steel production to water processing and baggage handling – our clients rely on us to provide rapid and expert support to maximise the uptime of their production or distribution operations. Our reliable service operation helps to provide competitive advantage for our clients by allowing them to focus on their core activities. We provide warranty support for our own equipment and can also offer third-party and extended warranties for selected competitor equipment. Our service team will provide rapid support and deliver a solution designed to minimise disruption to ongoing operations. To ensure reliable system operation, we can provide a range of periodic preventative maintenance checks. From component and software audits, through thermal imaging surveys to complete plant maintenance, our service experts can provide the reassurance you expect from a professional OEM. For ultimate peace of mind, a bespoke support contract can be developed to provide 24/7 direct contact with a service technician through our call centre. On-line engineering support and, where necessary, an emergency site visit can be tailored to suit your operational and production requirements. The service life of electrical and control systems often exceeds that of the components and software within them. Our service team is able to advise on spares inventory levels and hardware or software obsolescence, as well as managing system upgrades to ensure minimal disruption to your operations. Exceptional circumstances may require your low voltage or medium voltage product to be returned to one of our workshops for investigation by our specialist engineering team. Faults and failure modes are fully analysed and we work with you to find a cost-effective solution. Problems encountered in daily operations can be investigated on site by our experienced engineers. In many cases, the issue – whether mechanical, electrical or software-related – can be remedied during the initial visit and a warrantied repair provided. 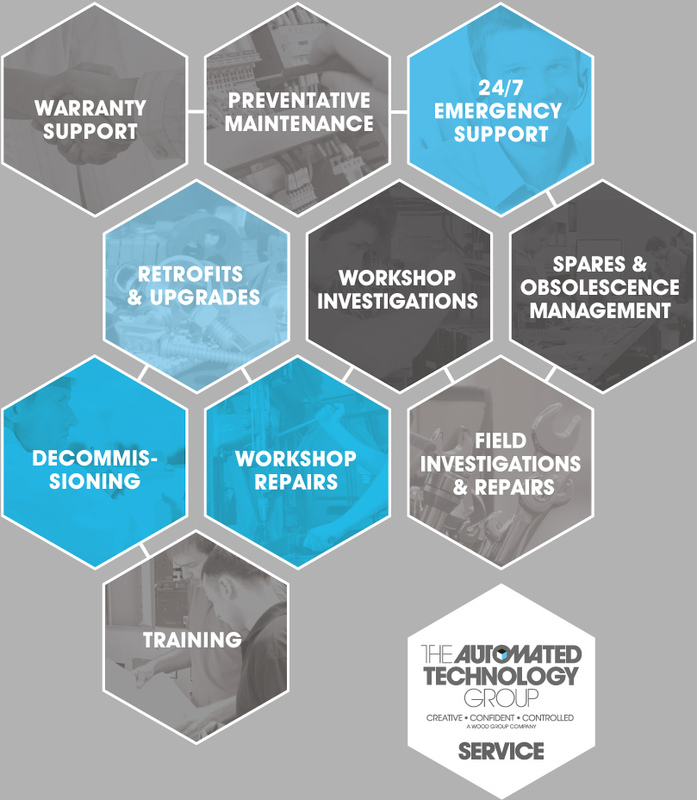 All workshop repairs are fully tested in accordance with our quality standards and our installation and commissioning personnel ensure that all equipment is returned to service as quickly as possible. To provide maximum benefit for minimum capital expenditure, we investigate and recommend cost-effective retrofits and upgrades for our customers’ existing systems. All enhancement work is undertaken by our experienced service team in accordance with our stringent quality standards. When it comes to replacing ageing, redundant or obsolete equipment, our service team can offer inspection services and safe removal. We can assess the viability of your equipment’s reuse, enabling you to make an informed decision about your assets prior to disposal. Recognising that having trained and competent staff to operate and maintain our solutions at customer sites contributes greatly to their reliability, we can provide operational and maintenance training for clients’ employees, either on site or at our own premises. We also invest in The Academy, our in-house apprenticeship scheme, to train future engineers to support our current and legacy systems.